HydroPower Ignition is exclusive to Bosch. 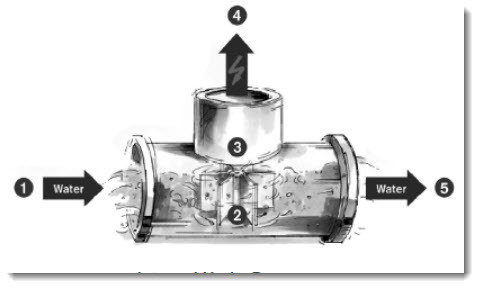 HydroPower uses the energy created by water flow to ignite the burner and begin the heating process. The unit only starts when a hot water tap is opened. Once hot water is no longer needed, the unit turns itself off. External HydroPower models are perfect for a constant, reliable supply of hot water. The HydroPower ignition provides endless hot water at the flick of a tap, without the need of power point. LPG models are particularly popular in country areas, where reticulated gas is not available and there is no external power point. Only heating water when required by the user, the Bosch range is extremely economical to run. After installation, purge all water and gas pipes before operating. Adjust appliance with only one tap operating. Turn clockwise Water flow decreases, temperature increases. If the appliance does not operate, burns with yellow flame, leaks water or a gas smellis evident, turn off and contact the local gas authority, the manufacturer or anauthorised service person. drained to prevent damage by expansion of freezing water. For appliances installed in locations where the temperature falls below 0°C and not less than -2°C for brief periods, the installation of an EXOGEL expansion valve, part number H707 060 151, will minimise the possibility of damage to the appliance. below 0°C for extended periods. never less than once in a two year period. Bosch Hydro Operation Best Price!